McCormick Ranch Golf Course is 10 miles from the Stadium Course at TPC Scottsdale. 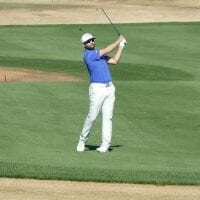 For Canadians David Hearn and Blair Hamilton, along with former University of California Golden Bear Max Homa, it was a triumphant drive just after 9 a.m. Tuesday as they were the three successful Monday qualifiers into the 2019 Waste Management Phoenix Open. The trio, along with University of Illinois alum Nick Hardy, had all shot blistering (-7) rounds of 65 on Monday and for most Monday qualifiers, that would have meant a relaxing Monday night before heading to TPC Scottsdale to get ready for The Greatest Show On Turf. But this being Phoenix, there were only three spots available, so after a restless night of sleep for all four, they reconvened on the 10th tee to decide which one of them would have to make the drive of shame toward the next mini-tour stop. That unlucky soul turned out to be Hardy, who hit his approach into a greenside bunker and couldn’t get up and down, while the other three all hit approaches within 15 feet and two-putted their way for what had to be the most enjoyable 10 mile drive ever. For Hamilton, Hearn and Hamilton, it means getting out for a practice round as quickly as possible Tuesday and particularly for the three other Canadians already in the field, Ontario’s Mackenzie Hughes and Abbotsford’s Adam Hadwin and Nick Taylor, that means 5 Canadians out of 132 golfers about to experience the most raucous week on the PGA Tour. 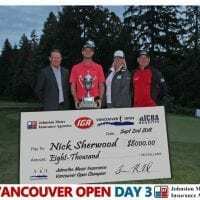 Hearn, universally known as one of the good guys on the PGA Tour, helped organize a Tuesday practice round in 2015 for BC Monday qualifier Cory Renfrew and Renfrew used that good fortune to make the cut and cash a nice cheque four years ago. Hamilton, who played three years at the University of Houston before turning pro in 2016, has played on the Mackenzie Tour and PGA Tour Latino America and now has a chance to make his mark on the PGA Tour, for one week at least. Taylor played his Tuesday practice round with Hughes, a fellow UW alum in Joel Dahmen, and Martin Laird. Hardy, a celebrated college golfer, is known in PGA Tour circles as the player whose bogey during the second round of the 2015 US Open at Chambers Bay moved the cutline by a stroke, allowing professionals such as Webb Simpson, Sergio Garcia and Jimmy Walker to play the weekend. Hardy, still an amateur at the time, had to turn down the offers of paid dinners afterward from the pros who got to experience the cauliflower and broccoli greens at Chambers Bay for another two rounds. 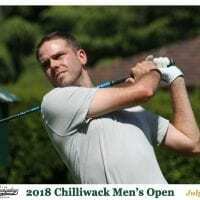 As for another Canadian who tried to Monday qualify his way into Phoenix, Cheam Mountain’s Kevin Stinson couldn’t recover from an early double bogey en route to a (+2) round of 74 at McCormick Ranch late Monday afternoon. 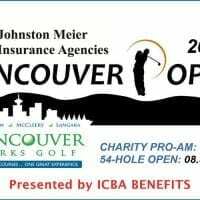 Stinson, one of the most accomplished players produced by the Vancouver Golf Tour, is using some of his 2018 VGT earnings to pay for his Monday qualifying attempts this winter. Stinson, who spends several weeks in Phoenix each winter, had shot (-7) in a Thursday pre-qualifier, but couldn’t find that magic four days later. He is scheduled to try and Monday qualify his way into the Genesis Open in Los Angeles in two weeks time. He was at the course Tuesday to cheer on a couple of former roommates, Nick Taylor and Adam Hadwin, who tee off at 11:45 and 12:25 respectively from the 10th tee Thursday. Hearn and Hamilton tee off from the first tee at 7:40 and 9:00 a.m. respectively on Thursday, while Hughes is off 10 at 8:10 a.m.